In important dimension of domestic marital problems, as I see, is that the Sunnah of Love and Gallantry seems to be overlooked or dismissed as a long-gone era. The Sunnah, that is taught at times, seems to overlook amazing instances of passion, valor, fidelity and sacrifice in the name of true love. 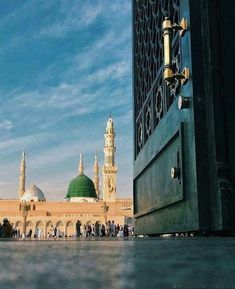 Instances from the life of the Prophet sala Allahu ‘alihi wasSalaam and his companions builds a comprehensive system of devotion – a Sunnah of Love. Love. The real kind – the genuine love between a man and his wife that stems from a seed of love that is planted by Allah in the hearts of those who are true in submission to the Dispenser of Love and Comfort. A seed, literally and figuratively, in Arabic symbolizes love. Houb in Arabic is derived from the same root for the word Haab – seed. The nature of the two words is functionally similar. Love begins as a tiny speck – a seed that is buried deep in the folds of a receptive heart, carrying the potential of stunning beauty, nourishing sustenance, exotic delicacy, wealth of commodity, shading shelter, and resurgent growth that is stabilized through deep roots that withstand trauma. One of the keys of honoring one’s in-laws lies in expecting there to be ‘double standards’ in their love for, and treatment of, a son- or daughter-in-law versus their own biological offspring. What are some of the most common issues new Muslims encounter in inter-cultural marriages? How can they approach these issues to come to a solution to prevent major conflicts in the marriage? If we understand that everyone makes mistakes, then it will be logical to forgive your spouse because you also – and I guarantee it – will make mistakes that beg for forgiveness. It’s conceptually like a mother who’s facing her own crying, annoying, and ill child. The weird thing would be to cry back at the child that she loves, while very well understanding that he/she is ill or has a high fever. 1. The spouse who suppressed what they really are-their feelings, needs and opinions-must find value in their authentic selves without need for validation. Value yourself, detached from the *need* for approval from the other person. This is key. Once you really do this, you will be able to express that voice (feelings, needs, opinions) without fear of being rejected or deemed unworthy and inadequate. Only when *you* find and value your own voice, will others value it also. If *you* don't value you, others won't either. 2. The spouse with the 'mold' needs to enable this opening by creating a safe and supportive space for their spouse to open up and express themselves. You may even complain that your spouse doesn't open up and express themselves--but you haven't created a safe space for them either. Throw away your mold and learn to value the uniqueness in your spouse. Help them develop the courage to express the beauty of the voice they already have inside them. Stop trying to mold them into what you think they should be, and make it safe for them to flourish into the beauty of what they already are. If you are a working mother, these tips may help reduce the tensions of balancing career, family and home. 1- Purify your intentions and reasons to work. The prophet’s exemplary character has guided my efforts in building a blissful marriage. The Prophet is indeed the greatest benefactor for me, second only to God, in this as well as in all other aspects of my life. Success in Marriage: Is It All About Compromise? Do you expect the moon of your spouse? Do you take time to focus on your spouse's strengths? Couples fight about money more than anything else, especially in our rapidly growing materialistic world. And the challenges can actually start even before getting married. Do you know your husband more than his mother? The relationship between you should transcend the boundaries of spouses and extend to the level of friendship. The Prophet, peace and blessings upon him, mentioned concerning the fast, “One who does not abandon false speech and acting on its imperatives, God has no need that he gives up his food and drink” (Bukhari, 1903). These narrations emphasize that there is far more to Islam than a mere adherence to rulings.